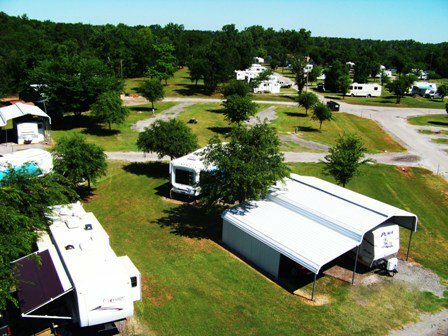 A-AAA Adult RV Park is a beautiful, quiet and safe family-owned RV park situated on 18 country acres of trees and grass. 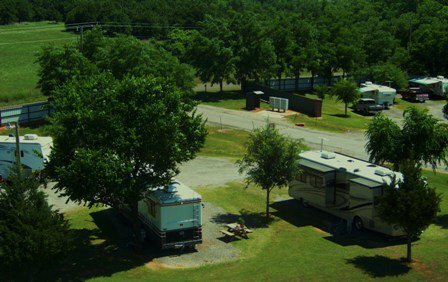 The park is surrounded by two creeks in the southwest Oklahoma City metro area and offers 80 super wide RV lots with 30 and 50 amp electric service. Two double-size pull-thru lots are also available. 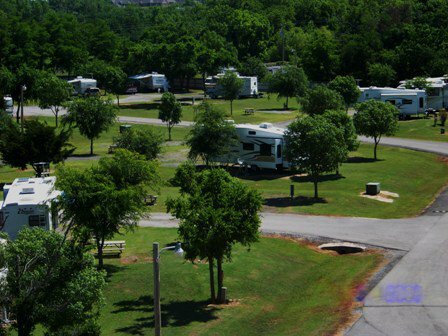 Other amenities include high speed Internet access, park security, storm shelter with wheelchair access, laundry facilities and security lights throughout the park. 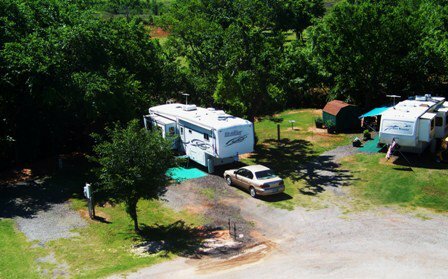 Base rates include one RV, two guests, two guests and two pets. While every effort has been made to ensure the accuracy of the pricing listed above, prices are subject to change without notice. From I-35 take Exit 106 onto Hwy 9 W. Go 9 1/2 mi. Take Hwy 76 exit, turn R on Hwy 76. Turn L at Park sign, go 1 block to Park entrance on left. From I-44 take Exit 108 onto Hwy 37 W. Go 3 mi to Hwy 76. Turn S for 5 mi to SW24th/NE85th St. Turn R, go 1 block to Park entrance on left.